On June 29, 2015 the United States Supreme Court argued in Glossip v. Grossthat executions may continue with the use of lethal drug cocktails including the use of midazolam, an extremely painful drug, which in effect, burns to death the condemned by scorching internal organs. The use of midazolam, according to the Court, does not constitute “cruel and unusual punishment” under the Eighth Amendment. The Court found that condemned prisoners can only challenge their method of execution after providing a known and available alternative method. The Glossip ruling evidenced two Justices directly challenging the legal foundation of capital punishment based on the Eighth Amendment which prohibits “cruel and unusual punishment.” Indeed, states such as Nebraska have recently abolished the death penalty based on the Eighth Amendment, making it the nineteenth state to do so, and the seventh to abolish capital punishment since 2007. Nonetheless, a majority of justices on the Supreme Court at the time – John Roberts, Antonin Scalia, Anthony Kennedy, Clarence Thomas, and Samuel Alito – still maintain the constitutionality of the death penalty, as argued in Glossip. In Baze, there was consensus that sodium thiopental, if properly administered, would produce deep coma-like unconsciousness. With midazolam, the opposite is true. Midazolam is not approved for use as the sole anesthetic for painful surgery. Clinical studies showed that midazolam does not reliably induce deep unconsciousness; when used in surgery, patients felt pain. The medical consensus is that midazolam cannot generate deep, coma-like unconsciousness. There is also no substantial practice among the states of using midazolam for lethal injections. Although sodium thiopental was widely used in lethal injections for years, only four states have used midazolam in an execution, and only two have tried to use it as anesthesia. On these undisputed facts, the use of midazolam to create deep coma-like unconsciousness presents an “objectively intolerable risk of harm” (Baze, 553 U.S.). Midazolam is not a barbiturate, but a benzodiazepine commonly used in pre-operative settings to alleviate anxiety. It is the shortest-acting drug in the same class of anti-anxiety drugs as Xanax, Atavan and Valium. All of the experts who testified in a three-day hearing in Oklahoma in December 2014, including the state’s expert, agree that midazolam has a ceiling effect, above which additional dosing has no additional effect, and no analgesic (pain-relieving) qualities (Joint Appendix to Brief for Petitioner, medical testimony from three-day hearing at pp. 199, 256, 274). The four states which have used midazolam in lethal injection executions are Arizona, Florida, Ohio and Oklahoma. Three executions that used midazolam triggered formal state investigations into why they did not go as planned (Brief for Petitioner at p. 31). In all of these botched executions, the prisoners initially appeared to lose consciousness, but then started moving and demonstrating signs of struggle and suffering. Glossip v. Gross originated in federal court in Oklahoma as a response to the botched execution of Clayton Lockett on April 29, 2014. Charles Warner was originally one of the Petitioners, but the Court denied a stay of execution in his case, and he was executed using midazolam in a three-drug formula on January 15, 2015, just eight days before the Court accepted this case for review. On January 28, 2015, the Court stayed the executions of the three Petitioners, Richard Glossip, John Grant and Benjamin Cole, who are Oklahoma death row prisoners. 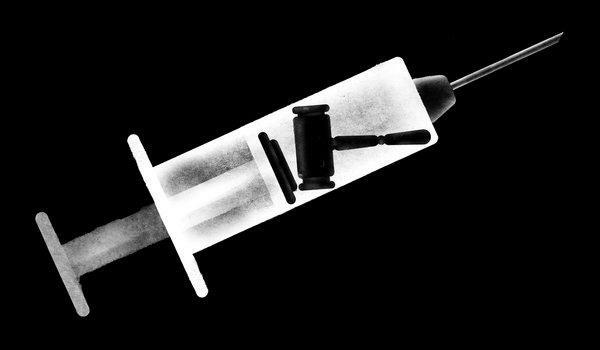 In their Petition for Certiorari, Petitioners asked the Court to “provide urgently needed guidance” to prisoners and courts addressing new, experimental lethal injection protocols. Justice Breyer, who has served twenty years on the Supreme Court, never argued that the death penalty was unconstitutional. What both Breyer and Ginsburg argued was that new evidence over the past two decades had convinced them that the death penalty is costly, ineffective, and unreliable, not that it was necessarily inhumane. Their argument was based on cost-effectiveness, efficiency, and the real possibility of wrongful execution. More than one hundred death row inmates had their convictions or sentences dismissed in the last decade. Alito’s position is one in which the inflicting of pain on others, as torture, is a necessary component of execution. This is a plausible position to hold. However, in that Alito and the majority argue that torture does not contradict the U.S. Constitution and the Eighth Amendment is subject to serious question. As stated earlier, torture is the act of deliberately inflicting severe physical or psychological pain on a human being by another as a punishment or in order to fulfill some desire of the torturer or force some action from the victim. Torture, by definition, is a knowing and intentional act; deeds which unknowingly or negligently inflict suffering or pain, without a specific intent to do so, are not typically considered torture. But under U.S. law, ignorance of the law is no excuse. Torture has been carried out or sanctioned by individuals, groups, and states throughout history from ancient times to modern day, and forms of torture can vary greatly in duration from only a few minutes to several days or longer. Reasons for torture can include punishment, revenge, political re-education, deterrence and even coercion. Alternatively, some forms of torture are designed to inflict psychological pain or leave as little physical injury or evidence as possible while achieving the same psychological devastation. The torturer may or may not kill or injure the victim, but torture may result in a deliberate death and serves as a form of capital punishment. Depending on the aim, even a form of torture that is intentionally fatal may be prolonged to allow the victim to suffer as long as possible, such as half-hanging or even inadvertently seizing in pain from lethal injections. In other cases, the torturer may be indifferent to the condition of the victim or simply take delight in the sadistic gratification of torture in whatever form. This indifference best fits the Alito majority. On one hand, indifference may be its most compassionate form of torture, while on the other it very well could mean that sociopaths exist on the highest court in the land. And in Glossip the Eighth Amendment is once again desecrated and Alito’s majority decision exalts the deviant status of the Torture Court of the United States. Glossip v. Gross, June 29, 2015, No. 14-7955, SCOTUS, I, A, Majority Opinion, Justice Alito, Roberts, Thomas, Kennedy, Scalia, Oyez, ITT Chicago-Kent College of Law, Illinois Institute of Technology. Death Penalty Focus, Working for Alternatives to the Death Penalty, May 31, 2013.